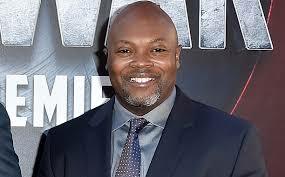 We are very happy to finally share our next Producer to Producer interview with the creator and executive producer of Marvel’s Luke Cage, Cheo Hodari Coker. The interview was conducted at the Producers Guild Produced By Conference in New York City on October 29th. Whether you’re a fan of Luke Cage or think that Misty Knight is a bad weather pattern – this is a MUST LISTEN. Cheo has been in the game for years and has worked on a variety of popular and critically acclaimed shows including – Southland, Almost Human and Ray Donovan. 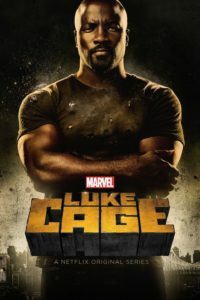 He has imbued Luke Cage with a creativity and thoughtfulness that has resulted in a ‘superhero’ show that sits firmly within our current golden age of television. Tune in to the show for the bulletproof Black man who can punch through walls, but you’ll also get an education on African American crime writers; a celebration of 90’s Hip Hop; some of the most layered female characters on television; Mahershala Ali’s star turn; a new definition of ‘getting coffee’; an Alfre Woodard master class in how to play a conflicted (but not really conflicted) villain; a love letter to Harlem; Mike Colter owning the title role; and one of the most gorgeously shot shows you’ll see all year. How Shonda Rhimes influences the way he writes female characters. How being a showrunner is like being the captain of a Federation Starship. The use of ‘the N word’ in Luke Cage. Plus, there’s nothing better than getting a pop culture suggestion from one of our great pop culture creators. 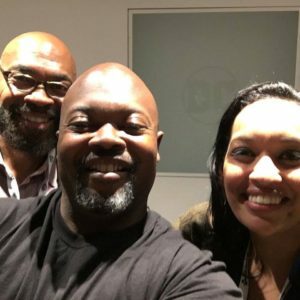 Make sure you listen to the end of the episode to hear Cheo Hodari Coker Big Sell us three things he’s loving.